Clip art by A Little Peace of Africa (Laine Sutherland). Hello, friends! 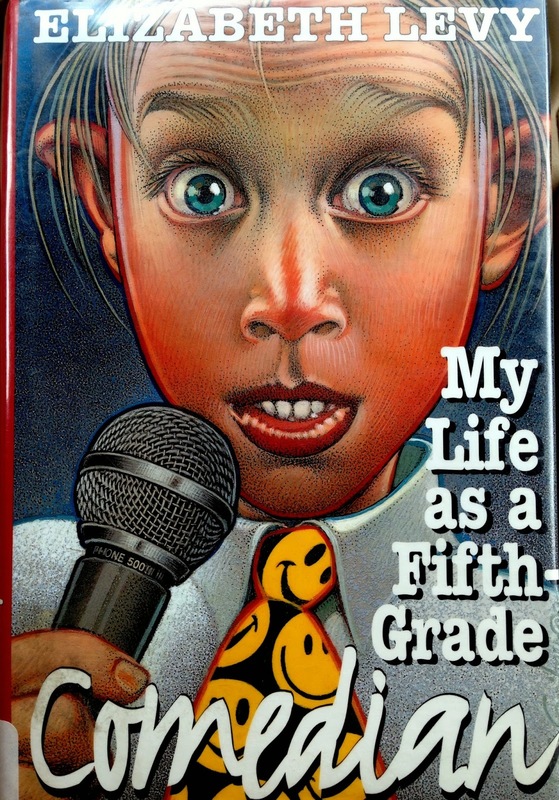 Today I wrote a blog post at Upper Elementary Snapshots about my favorite books to use for upper elementary literature circles. If you haven't read that post, hop over there to check it out! After you've selected books for literature circles, one of the next tasks to be done is deciding how you will group your students. In a perfect world, we would like our students to be able to choose which book most interests them, and then choose that literature circle. But... we know that it doesn't work that way in the real world! You often have a limited number of book copies, groups of 16 typically aren't overly productive at this age, and there is the issue of "conflicting personalities". What's the next best method? A mixture of self-selection and teacher placement is what has worked for me! Step 1: Present riveting book "commercials". I have found that this is of key importance. I try my absolute best to talk each and every book up so that it appears to be my favorite book of all time! If I do this correctly, I'll hear students say "I just can't decide what my first choice should be!" or "I don't really care which book I read- they all look good!" Bobby is the class clown, and is known for making everybody laugh. Most of his classmates have no idea the problems Bobby is facing at home- his older brother has been kicked out of the house and his parents are threatening to send him to a special school for kids with behavioral problems. Another really cool feature about this book is that every single chapter begins with a joke (share an example). If you like to laugh, you want to learn new jokes, and you like a book with some unexpected twists, then this is a book that you will definitely want to read! Step 4: Select the groups. Finally... the fun task of grouping the students arrives. I try really hard to make sure that students get one of their top three choices (out of five). Surprisingly, it usually works out that students even get one of their top two choices! 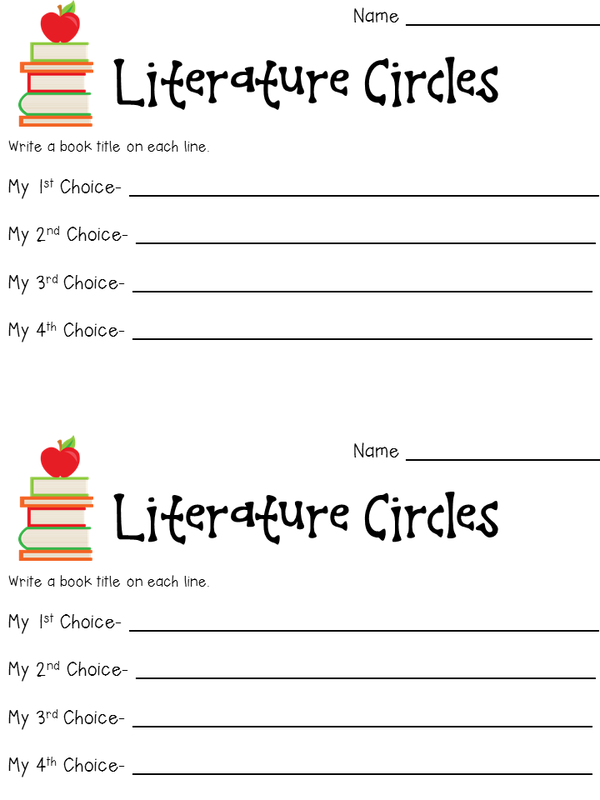 I usually look at my struggling readers' forms first, and place them in a group. Five to six students are placed in each group. I try to mix the groups between girls and boys, but there have been times I had an all-girl group (Nothing's Fair in Fifth Grade). The groups are kept fairly even, but sometimes a popular choice ends up having six readers, while another book only has four readers. During the last 20-30 minutes, I allowed students to decide for themselves whether they wanted to read the next day's assignment as a group, with a partner, or independently. Struggling readers almost always chose to read with a partner or with the entire group. Because of this arrangement, they were able to complete the reading faster (and therefore keep up with the group) and often with a higher level of comprehension than they would have had they been required to read independently. I love this post, Deb! Excellent! Thank you so much for sharing! This is almost exactly how I organize my literature circle groups. I like your idea of allowing the students some time to browse and just look at the books; I haven't done much of that but plan to in the future. One thing that I do ask them to do is give me a reason why they pick their first choice book as first choice. Many times there are WAY TOO MANY who choose the same book for first choice. Their writing must persuade me to choose them for that book. A child who simply writes: It sounds good, is not going to convince me to choose her. So enjoying your literature circle posts... this is my thing! I think this is year 20 using them. What great idea, Angela!! I love that you require your sixth graders to use their powers of persuasion (a topic I bet you've already covered with them) to convince you!! Thank you for sharing that wonderful idea!! Deb, I love this post! I recently found out that I will be teaching reading again next year. 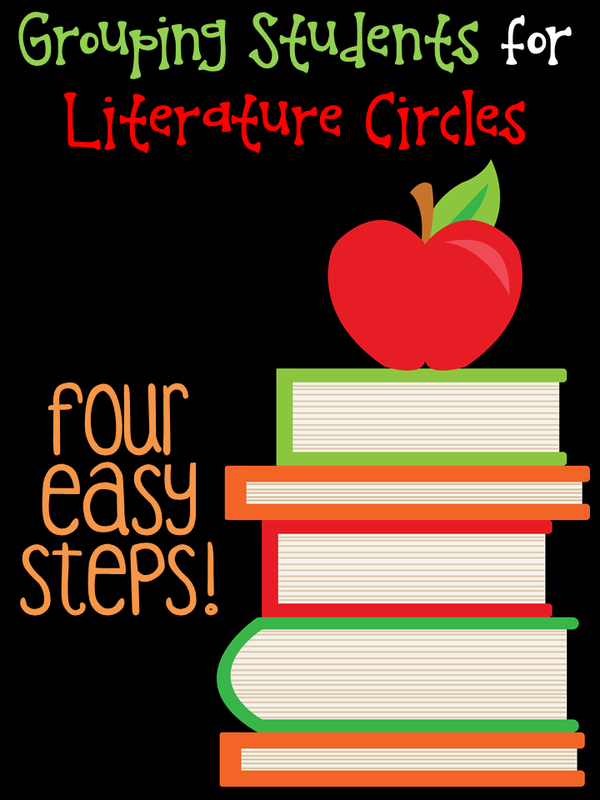 I can't wait to do literature circles!